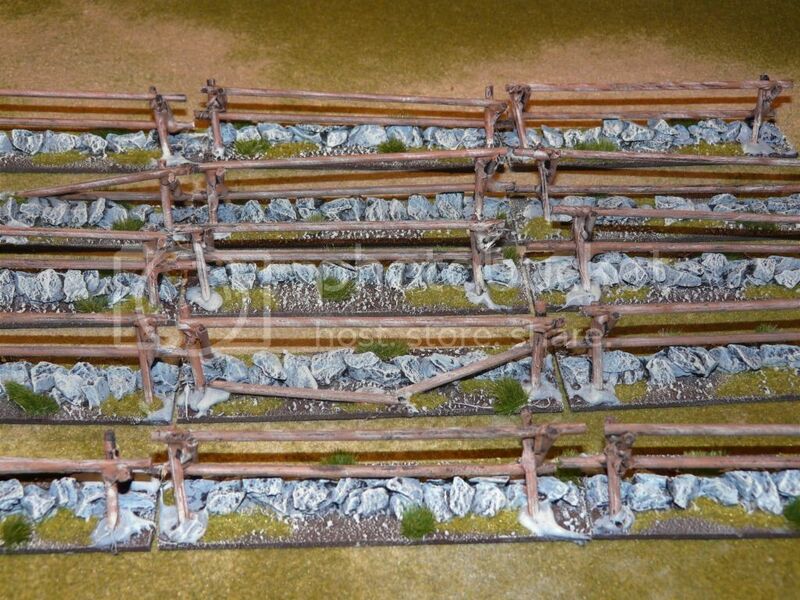 I tend not to have enough time to create my own terrain, it’s hard enough finding enough time to paint figures, but having looked around the web could not really find a manufacturer that I was happy with for ACW Picket Fences certainly not for for the budget that I had in mind. Tesco were selling some large BBQ skewers which retail for £1.99 for 50 more than enough for my requirements, I took some 2mm MDF and covered it with sharp sand before spraying it black to seal it. 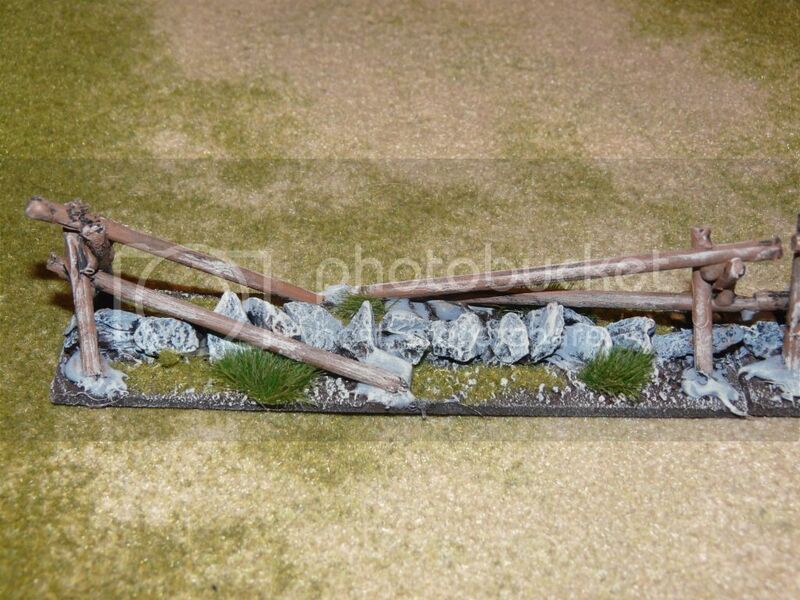 The council were resurfacing the local road which gave me a ready supply of boulders for the base. 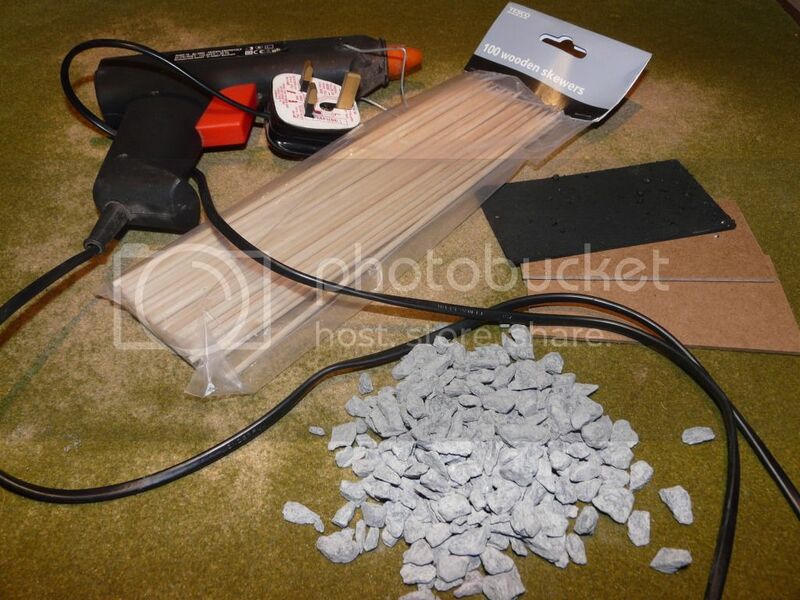 Using a glue gun, I put a line of glue across the centre of the board and pushed the first line of stones in at the same time I inserted the skewers and left to dry. Once hardened I cut away the excess glue and gave a liberal Matt Black Spray, before painting and dry brushing. I am reasonably happy with the results. They feel more robust than your average picket fence and cost perhaps as little as 50p per fence in terms of raw materials.